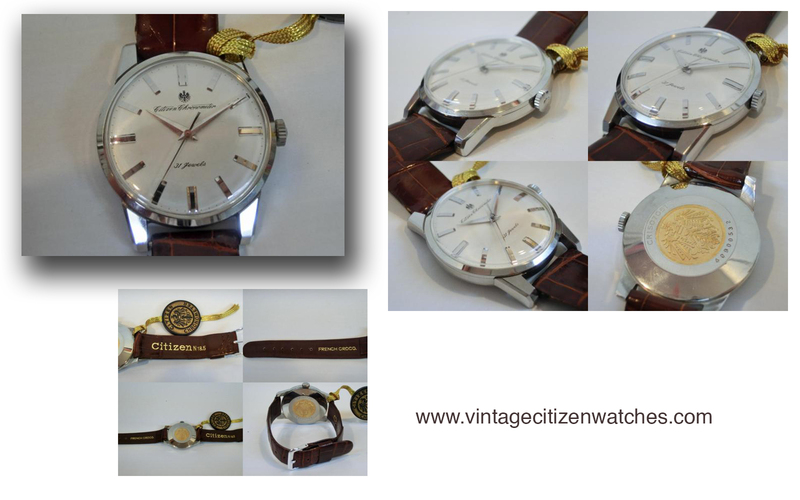 One of the most beautiful vintage Citizen watches ever made is this one, the Citizen Chronomaster. They were made in stainless steel and gold filled cases (also solid gold). Mine is gold filled, as obviously seen in the pictures. 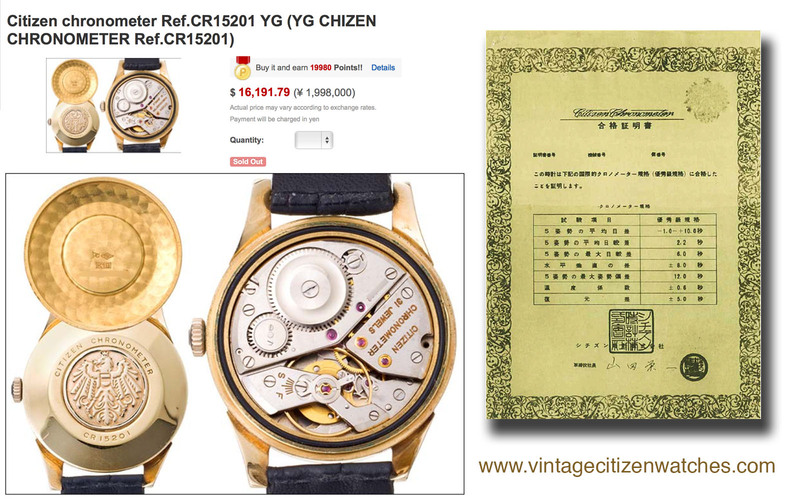 Some say it was born as an answer to Seiko’s Grand Seiko line. Others say it was made to demonstrate a point, that Citizen is capable of great things, so they constructed this awesome time piece, the best one! And it stands its grounds up to this day as both vintage and modern, classy and elegant, powerful watch no matter the reason it was made for in the first place. This model was launched in November 1962 and was produced for about 4-5 years. Being a Chronometer means it has a very high accuracy level, ranging from -1 to +10 s / day. 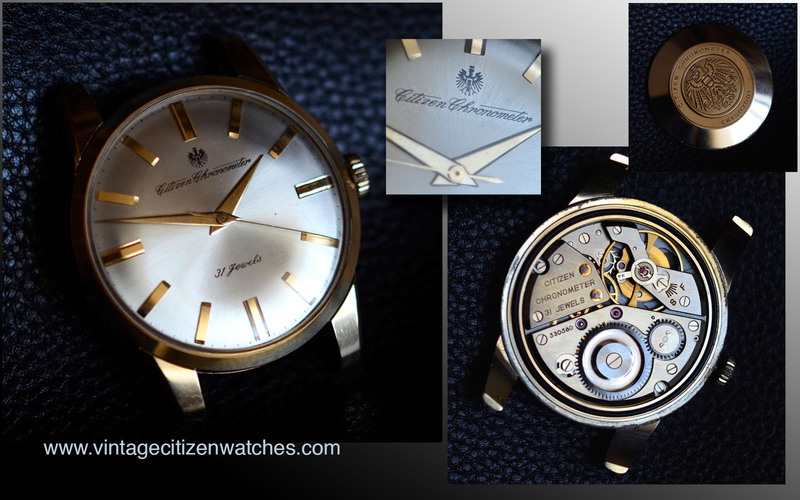 The very large balance wheel and the fine adjustments along with the carefully designed and constructed movement proved it to be the best movement Citizen had at the time. The finishing is great too and even today I find it very pleasing to look at. It is a hand winding movement (soon after this most of the watches were automatics) and runs at 18.000 bph while having a nice power reserve of about 53 hours. 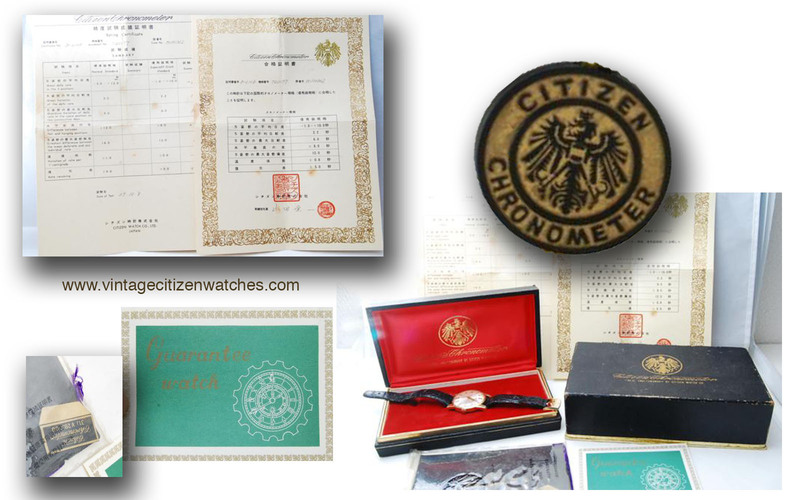 On Citizen page can be found a certificate (the picture below) that proves the quality of the watch, also I fond this solid gold marvel that sold for… over 16,000 USD! The case on mine is gold filled (100 microns) and is rather large (and wears even larger) at 36mm diameter. 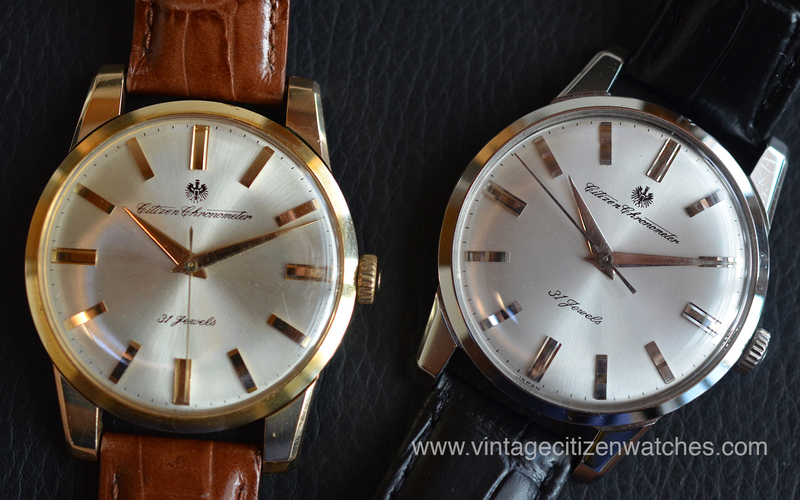 This is mainly due to the large silver dial, small bezel and thick lugs. The crown is signed “C”. The dial is pure beauty, silver with a sunburst effect, with applied gold hour markers and black crisp markings. The three hands are also gold (plated?) The case back snaps on it’s place and is marked both on the outside and inside. The Eagle solid gold medallion is applied and makes the watch even more special. What else is to say? An awesome watch, a joy to wear and a bless to have! Awesome piece! So proud to have them! 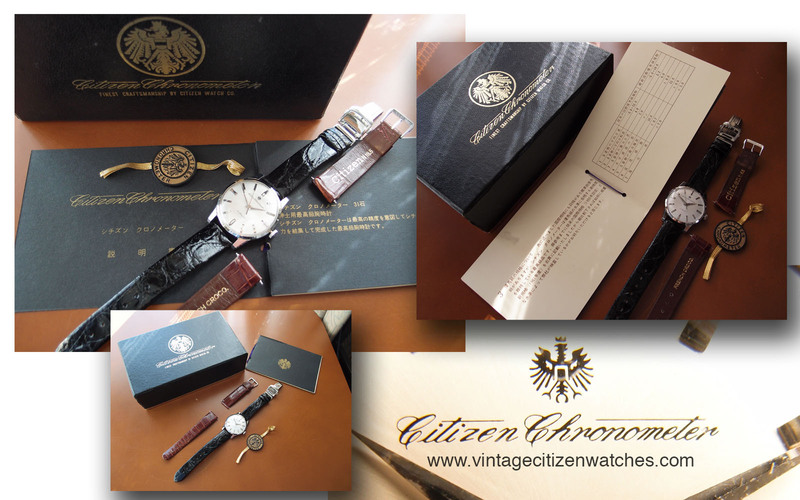 This entry was posted in chrono master, hand winding, vintage Citizen and tagged citizen chronometer, citizen cosc, citizen eagle, citizen vintage solid gold, Citizen watches, vintage citizen chronometer, vintage gold citizen. Bookmark the permalink. How do I go about purchasing the watch? Is paypay accepted? Hello Thomas! Yes, paypal accepted. I will contact you on the email address provided by you.